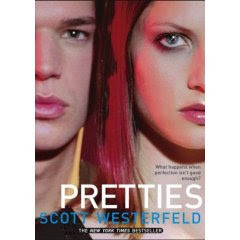 I decided to read Pretties, the second book in the Uglies trilogy - which somehow now has four books - as my second book for this challenge. (I've posted a very brief review here.) I am enjoying Westerfeld's work and plan to finish the Uglies series as part of this challenge.